Cool,smooth and exciting music by a extraordinary guitarist and composer. Music that is uplifting and inspiring guaranteed to keep you grooving. At a very young age, Goodloe knew that he would be a musician. Strumming to the music of Wes Montgomery, George Benson, B.B King and any other artist or group that would capture his ear and heart, these musicians, among many others inspired him greatly. As a self-taught musician and Denver native, U.S. Army Veteran, Goodloe attended Thomas Jefferson High School, where he received a music scholarship to Paul Quinn (formerly Bishop College) in Dallas, Texas. He came from a family that also had musical talents, including a grandfather who played guitar and a father who played the saxophone and guitar. Even blues singer Vernon Garrett is his uncle. Gregory has performed his brand and style of guitar playing at various smooth jazz venues, such as The Winter Park Jazz Festival, The Breckenridge Jazz Festival, The Cooper Mountain Genuine Jazz Festival, The Keystone Wine and Jazz Festival, The Five Points Jazz Festival, and Jazz In The Garden. Goodloe has had the joy of performing with and opening for many artists, including Grammy award winner Larry Dunn of Earth Wind & Fire, actor and hip hop artist Ivan Ellis of the famed TV show Empire, comedian/actor Joe Torrey, R&B singer & Grammy award winner Howard Hewett of the group Shalamar, the original R&B group Surface, TV Actor and R&B heart throb Tank, Candy from the group Escape and B2K. He has also played with Grammy award winner TV reality star & gospel jazz artist Ben Tankard, Opened for Norman Brown, Dave Koz & Friends with Michael McDonald, Brian Culbertson, James Ingram, Opened for Roy Ayers, Spike Robinson and Jazz Legend keyboardist Joe Bonner. Gregory has also opened for and played with gospel greats such as Shirley Caesar, Angela Spivey, John P. Key, The Gospel Keynotes and the Rance Allen Group just to name a few. In addition to producing, engineering and recording music. Goodloe just released his hit CD, "Get'n It" the title track written and produced by smooth jazz producer & songwriter Darren Rahn "It's All Good" a recorded single is also included on this album and is now available on iTunes and CD Baby. Gregory's recent achievements include: performing at the Comedy Works, playing the Genuine Jazz at Copper Mountain and Black Hawk with such artists as Gerald Albright, Stanley Jordan, Ronnie Laws, Alex Bugnon, Paul Taylor, Eric Darius and Nick Colionne and many others. Gregory Goodloe is also credited as music director for national recording artist Aysha and R&B group Re-Surace. 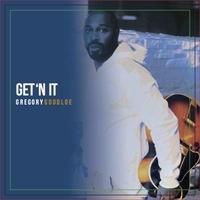 Gregory Goodloe’s current release of his new hit single, Get'n It, continues to prove that he is destined to be one of the future guitarist of this century. He says, of The Most High “I dedicate all my success to my Lord and Savior Jesus Christ because without Him, there would be no me." Great job Goodloe. Keep up the good work. Your future is looking good! !